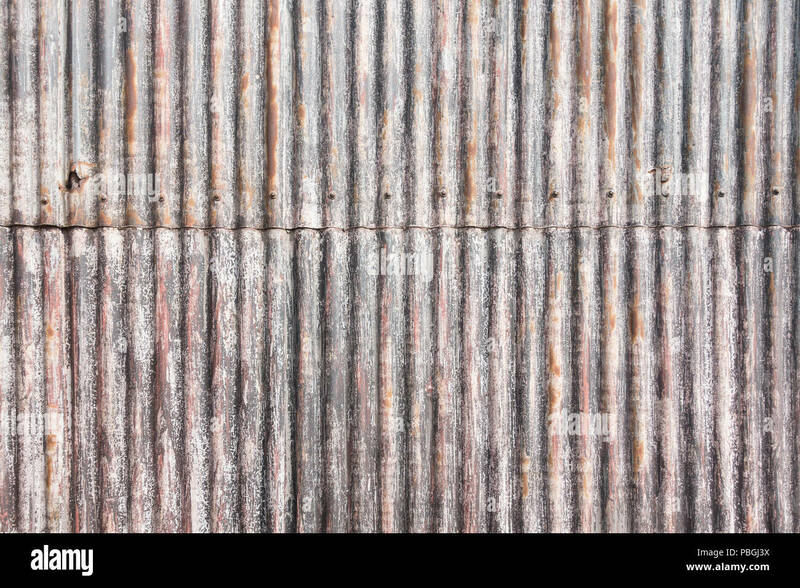 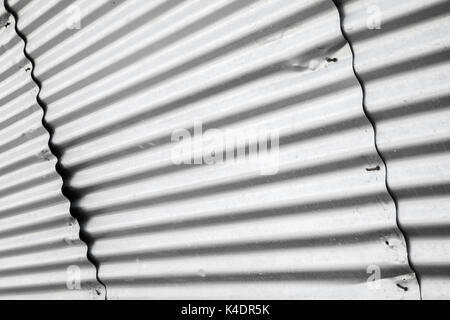 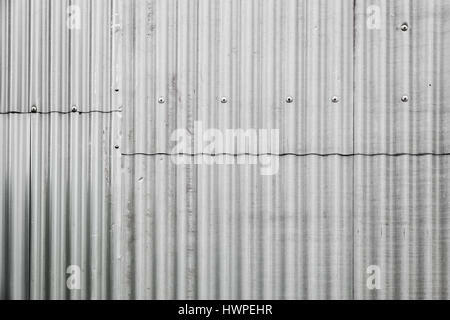 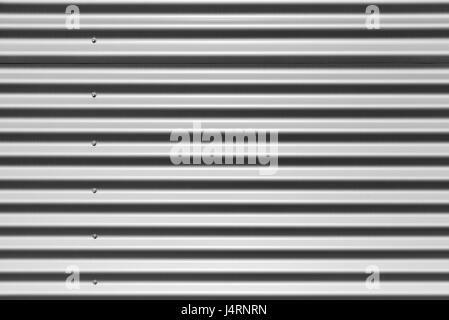 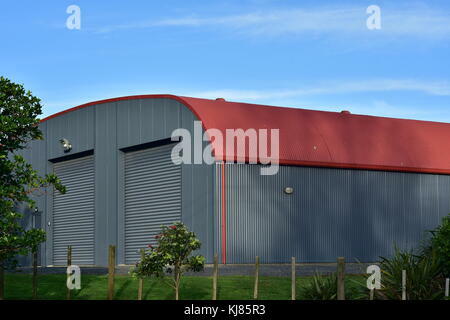 Large barn made from corrugated sheet metal painted gray on walls and red on roof. 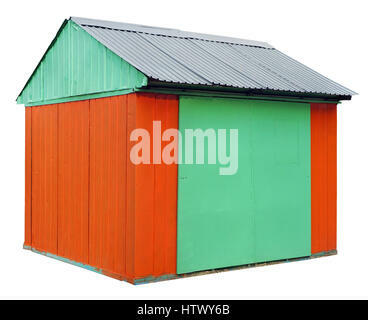 Shed made from partially rusty corrugated sheet metal panels. 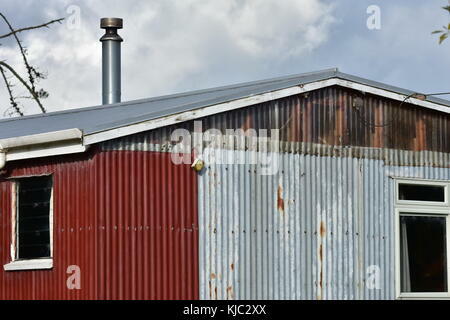 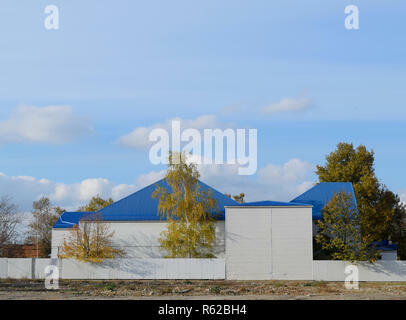 The building with siding and blue metal-plastic roof made of corrugated iron.